When I was a kid I remember Dad showing me the scar on his forehead – a jagged ‘v’ shaped scar just inside his hairline. 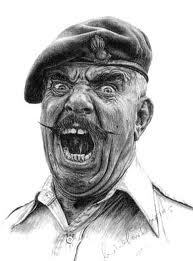 He said he was hit in the head by a piece of shrapnel that went through his tin hat and grazed his head. 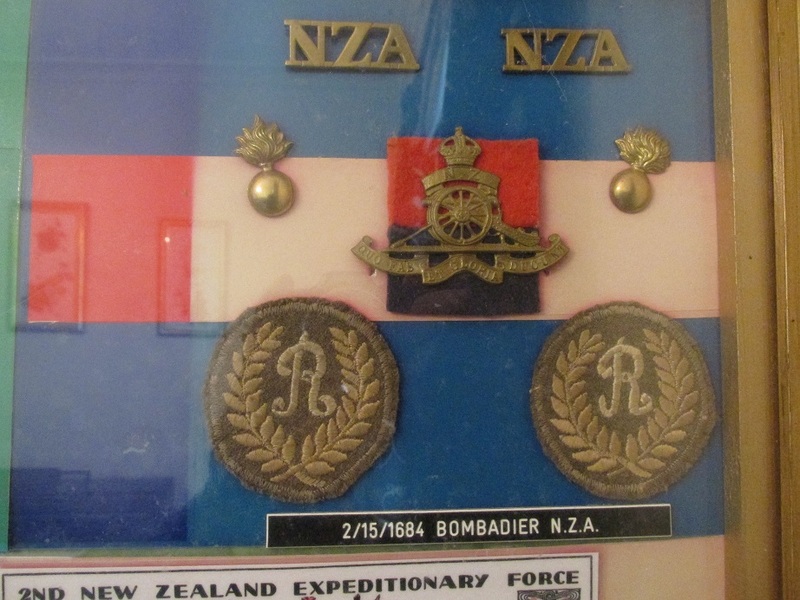 I knew he had been wounded but in the New Zealand army a wound doesn’t get you a medal like in some militaries, so his scar was his only memoir, albeit one he wished he never had. As a kid I never knew that this wound caused him so much pain and ongoing discomfort – it was “Oh yeah, Dad got hit in the head by a piece of shrapnel”. 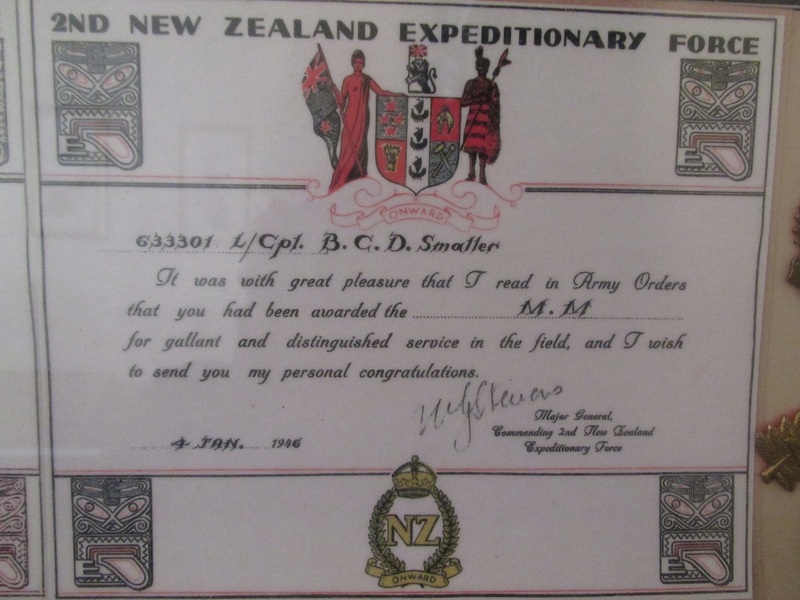 Dad’s application for a war pension came about because about this time he was checked out and had his neck and back x-rayed for the first time and it was discovered that the top three vertebrae were crushed and somewhat fused – the result of an old injury as it turns out. The specialist asked him if he had ever received a blow to the head causing whiplash. That is when he realised that the shrapnel to the head was the only thing that could have caused the injury. 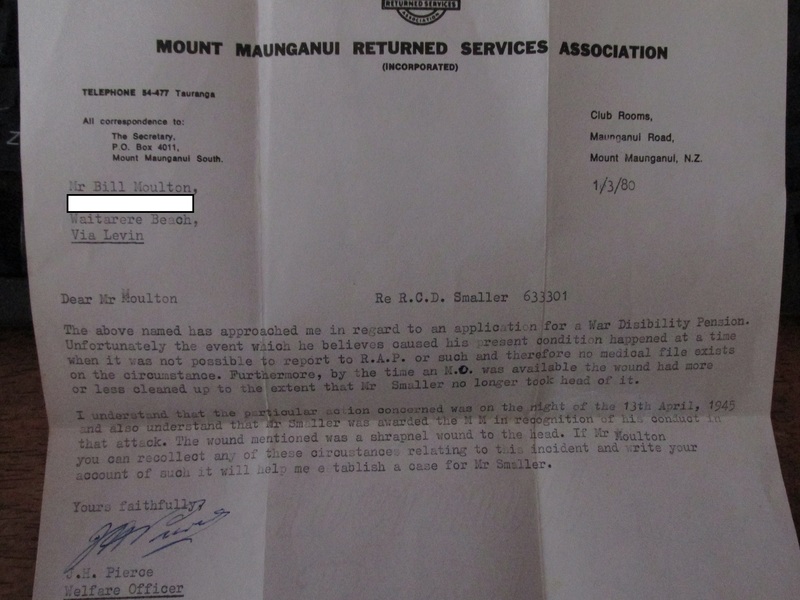 I was tidying up the Woolshed and came across the following documents in a box of papers. 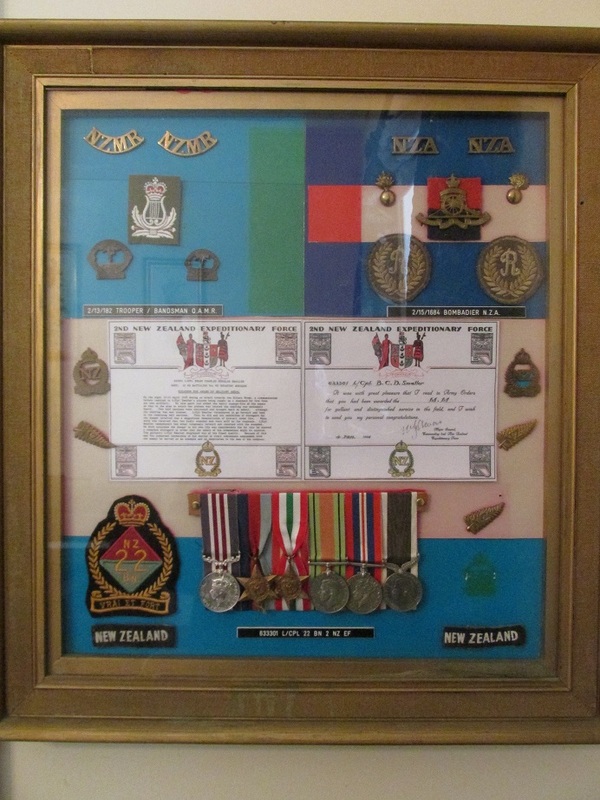 One is a hand written letter from Dad when he was applying for a war pension detailing the events surrounding his disability, and a letter to one of his platoon mates who was asked to recount his memories of the same event sent by the RSA (Returned Services Association) Welfare Officer at Dad’s local RSA. Dad did receive the pension in the end. There is a post-script to this story that I will recount below. Note that he never once mentions that he was decorated in this action. 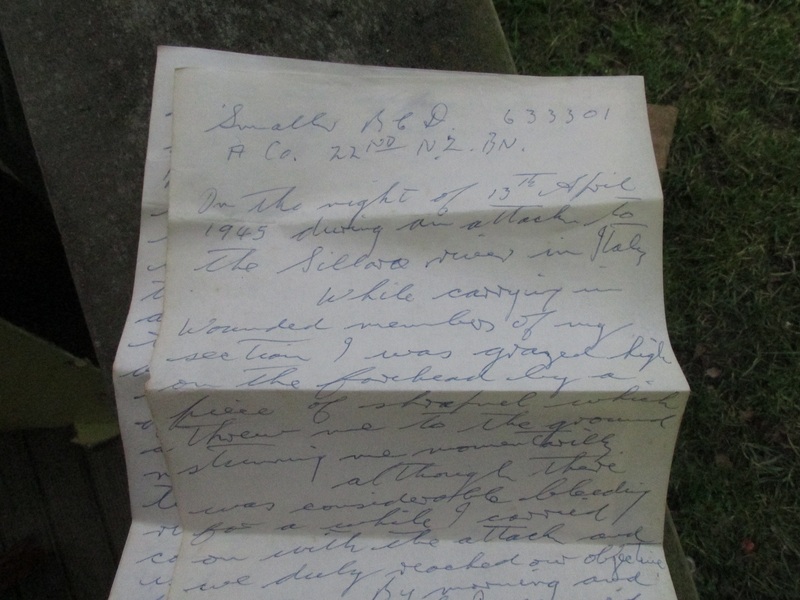 He also doesn’t mention it in the letter but he said to me that he was pretty certain the shell fragment was from his own Div Artillery who were stonking the area he was in at the time (see his citation on the post linked to below). 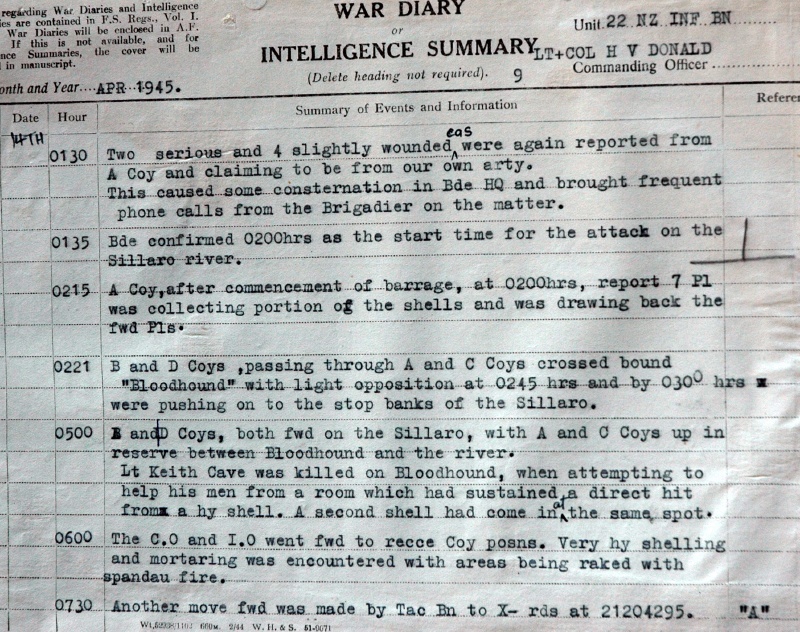 On the night of 13th April 1945 during an attack to the Sillaro River in Italy. While carrying in wounded members of my section I was grazed high on the forehead by a piece of shrapnel which threw me to the ground stunning me momentarily. Although there was considerable bleeding for a while I carried on with the attack and we duly reached our objective. By morning and after a wash I examined the wound which was about two inches long and did not appear very deep. I considered going back to let the MO have a look at it but decided it was safer to stay where I was and by the time we were relieved the wound had closed up and was giving me no trouble, so I did nothing about it. It seemed so minor after the ghastly wounds of my mates. I did notice a constant ringing note in my ears. That’s all at the time. Since the war the ringing in my ears has been constant but I’ve become used to it as one does and for a few years I suffered severe headaches which have reoccurred frequently and are very distressing. Over the last few years these headaches have become almost daily occurrences and usually start about the middle of the afternoon, often putting a stop to my work for the day because I lose my concentration and am afraid the dizzy spells which accompany the headache may cause me to fall from a ladder or scaffold. I also have frequent pain in my neck at the base of the skull, it has been suggested that this was caused by the blow to the forehead snapping my head back and damaging a vertebrae there. Letter to Bill Moulton. Bill “Papa Bill” was the old man of Dad’s platoon. 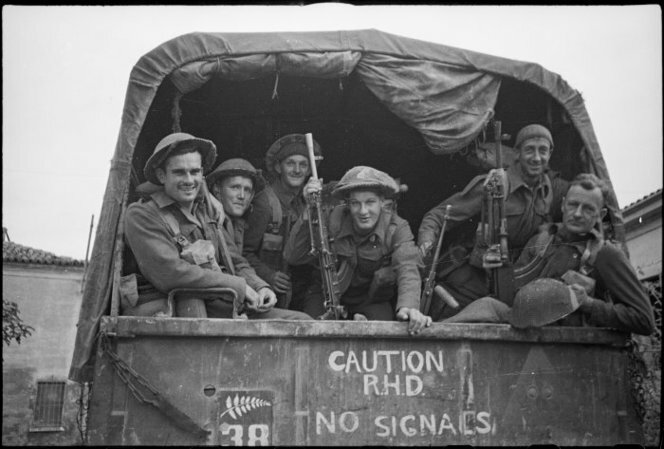 Almost all the platoon were young men but Bill was already in his forties. There is a tragic story about Bill that I will recount in a future post. 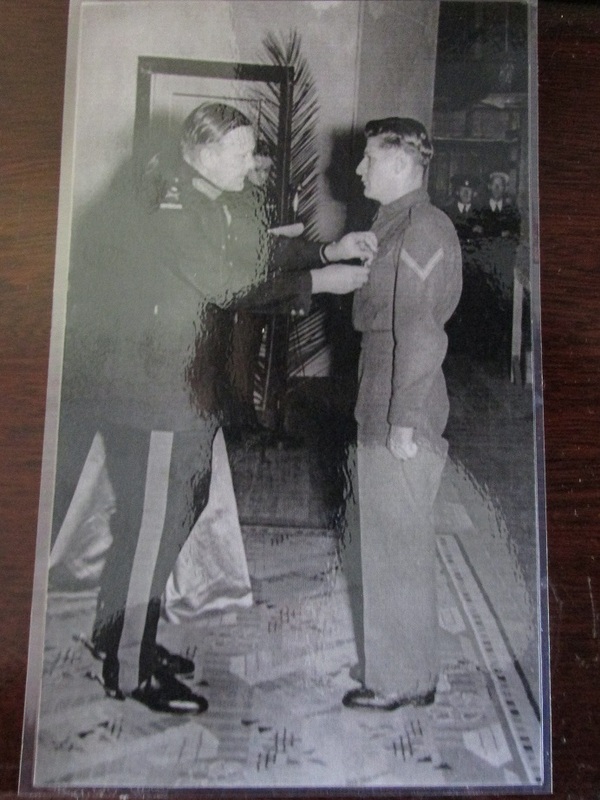 Dad received his Military Medal for his gallantry under fire the same night he was wounded. 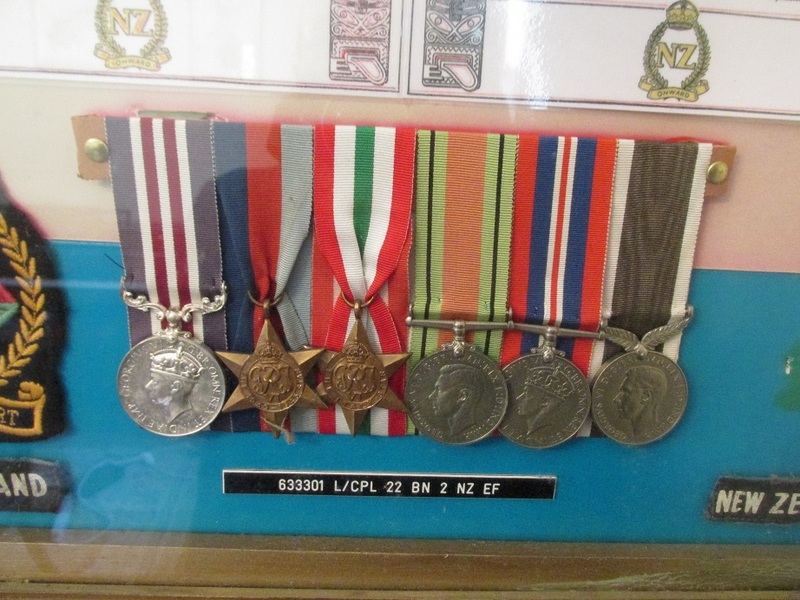 In the mid-1990s the RSA and Social Welfare were sorting out his pension entitlements and it was discovered that he was eligible for a small honorarium along with his medal. This had been due from the time he was gazetted in 1945 and he had never received it. With adjustments for inflation and so forth, fifty years of back-payments came to a tidy sum that was well into five figures. When Dad found out about this I asked him how he felt about this. 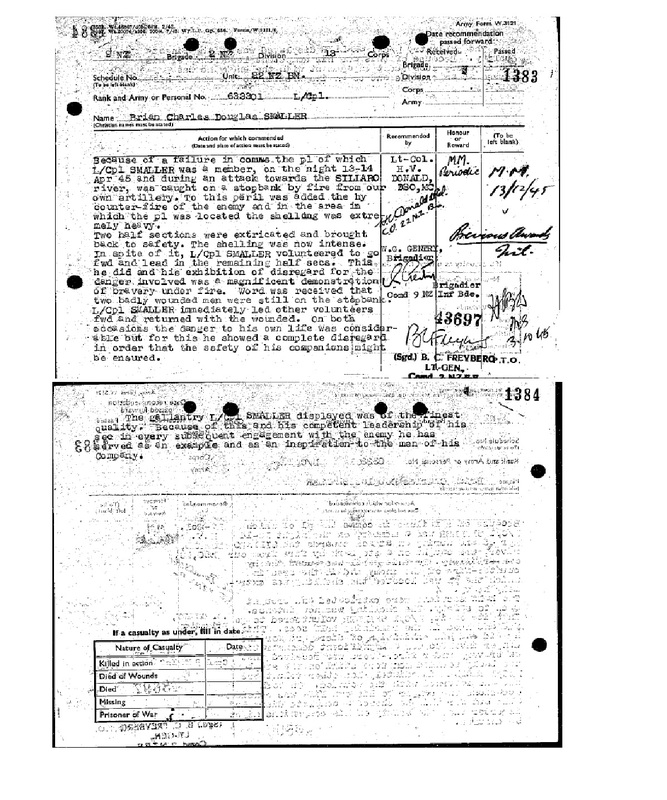 He said “If I had known I was going to get this much I would have killed more bloody Germans”. The joke was that he received his medal for saving lives, not taking them. I made a fortuitous discovery inside an old cup in the china cabinet. My father’s World War Two identity tag. I had not seen this in many a year and thought it had been lost in a move. I was incredibly relieved to have found it. 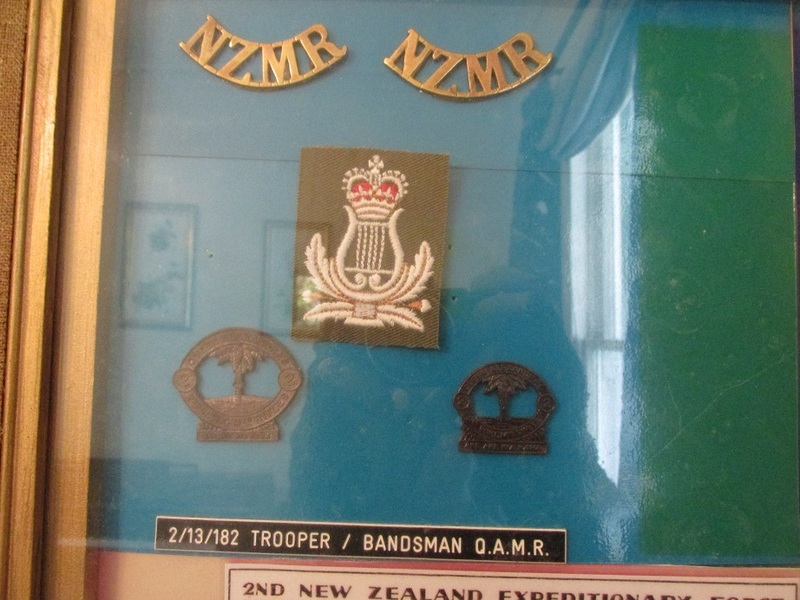 It has his nationality (N.Z), service number (633301), religion (C.E = Church of England), Blood group (O) and of course his Surname and initials (SMALLER, B.C.D). I am not sure what the material it is made of is. It almost feels like a hard leather rather than metal. Any help here would be appreciated. 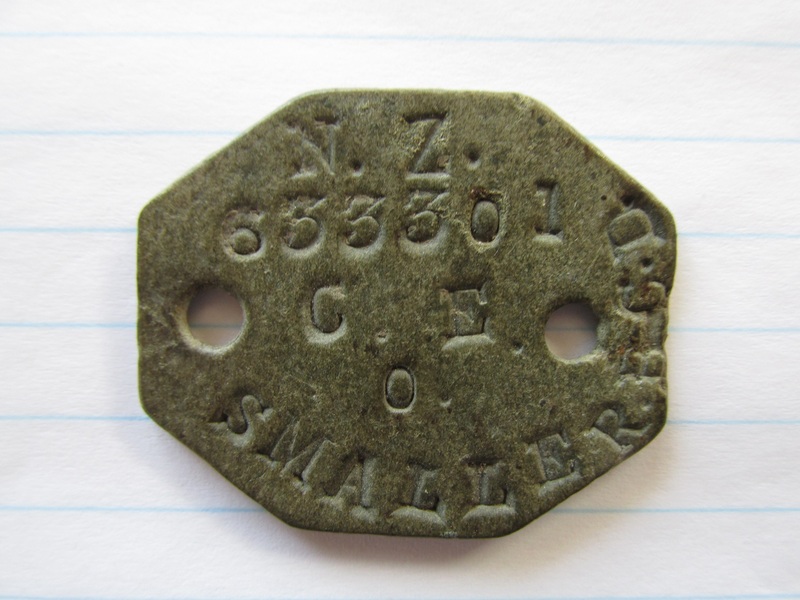 He collected this bit of tin during his service. 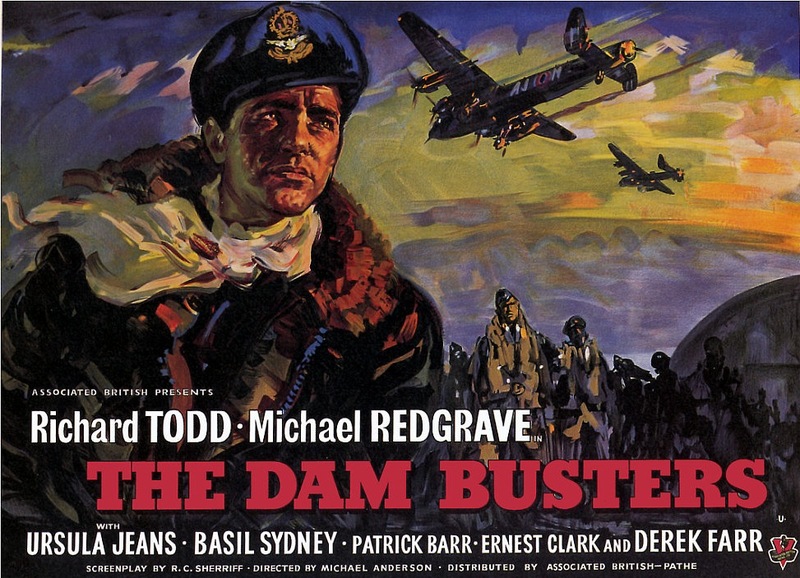 Continuing with great war movie theme music, I present the Dam Busters March. This was composed by composer Eric Coates (1886-1967). I somehow think that when Sir Peter releases The Dam Busters this military march won’t feature – although it may be a nice homage as Guy Gibson’s PC-dog, Trigger, farewells his master. And talking of homages. When I lived in the UK in the late 1980s this advert appeared on English television. I thought it was funny then and still do. The Dam Busters Association gave it their blessing apparently, after a consideration from the brewery. Interestingly enough, here in New Zealand in the early 90s there was an advert for Sudafed (an anti- congestion drug) that used the Dambusters theme. The RSA (Returned Services Association) moaned like crazy and it was withdrawn. I couldn’t get my head around that, especially after the actual guys who were on the raid who were alive at the time gave the green light to the Carling ad. Shrug. 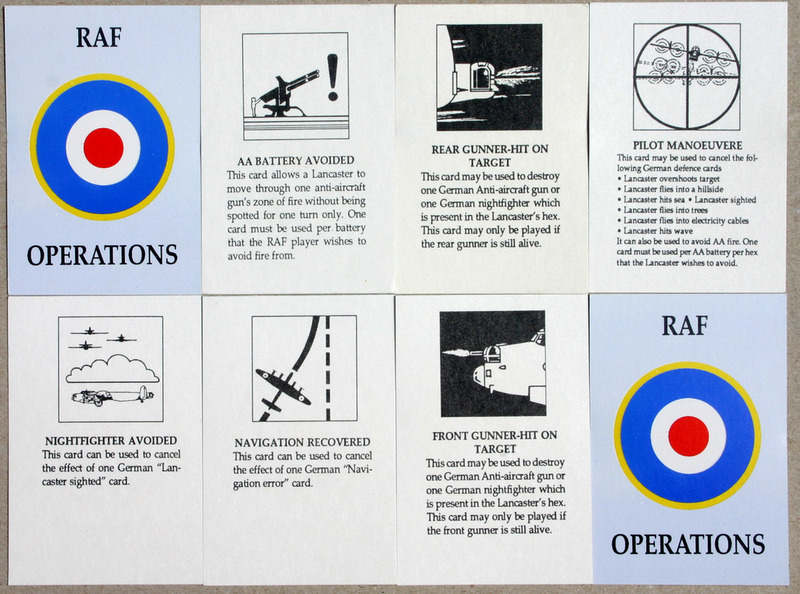 There was a board game released based on the Dam Buster raid and I remember playing it once or twice back in the early 90s. A bit of research shows that it was released about the same time. 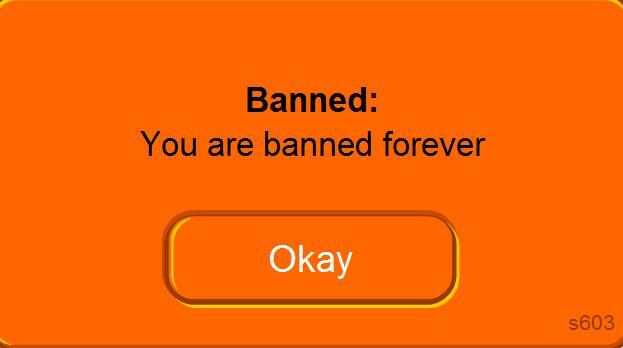 I thought it was older. It was quite a bit of fun to play if I remember correctly. 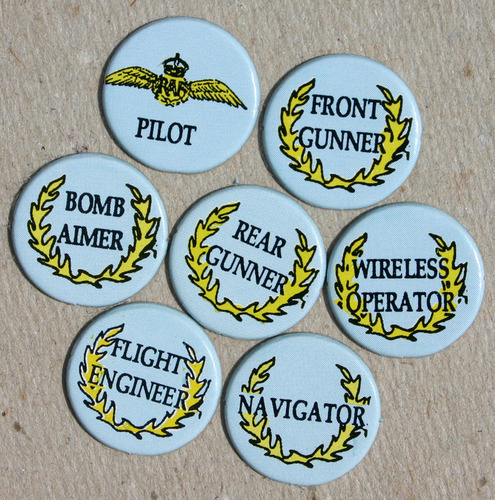 You had to gather your crew and for 617 Squadron and of course, destroy the dams. It used a board and a card driven system – that is about all I recall of it. 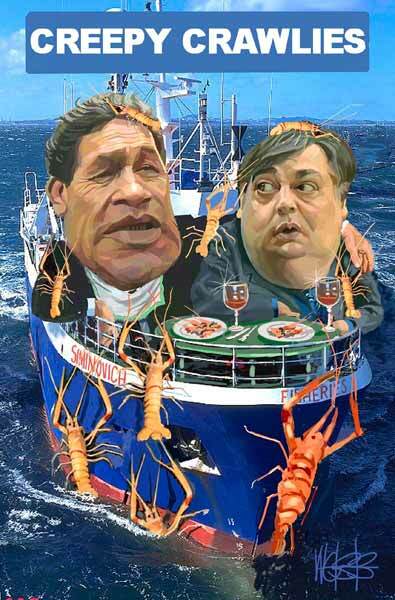 Now I have seen this photo before in a few books but while trolling through the National Library of New Zealand web-site I found a copy of it. Ordered it as a high resolution jpg. My father is the young guy in the middle of the photo with the bren. I look at this and shake my head at how young he was. Only nineteen years old. 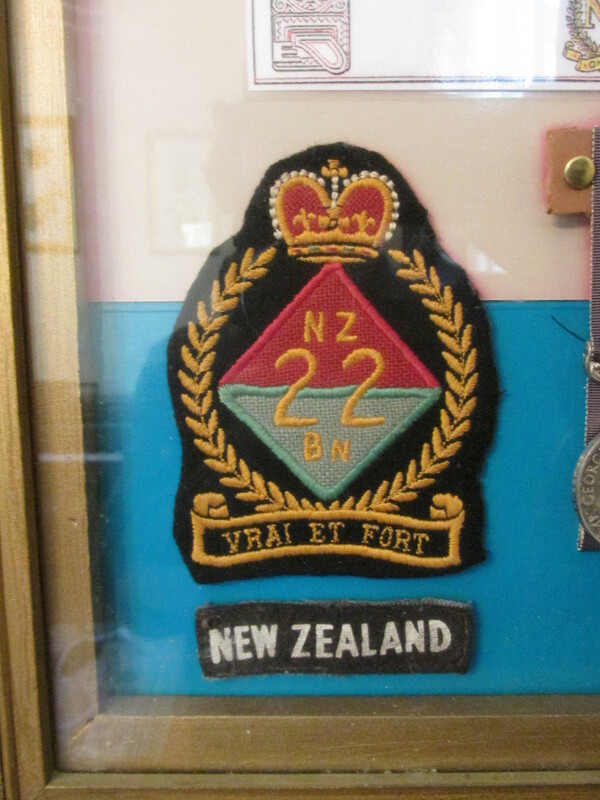 He was a Lance Corporal in the 22nd Infantry Battalion, 2NZEF. The old bugger is still going at 88 and not quite ready to start pushing up the daisies. We have another photo of Dad taken by my Uncle Bob from the turret of his Sherman – it shows Dad escorting prisoners he took back down the road from the front. 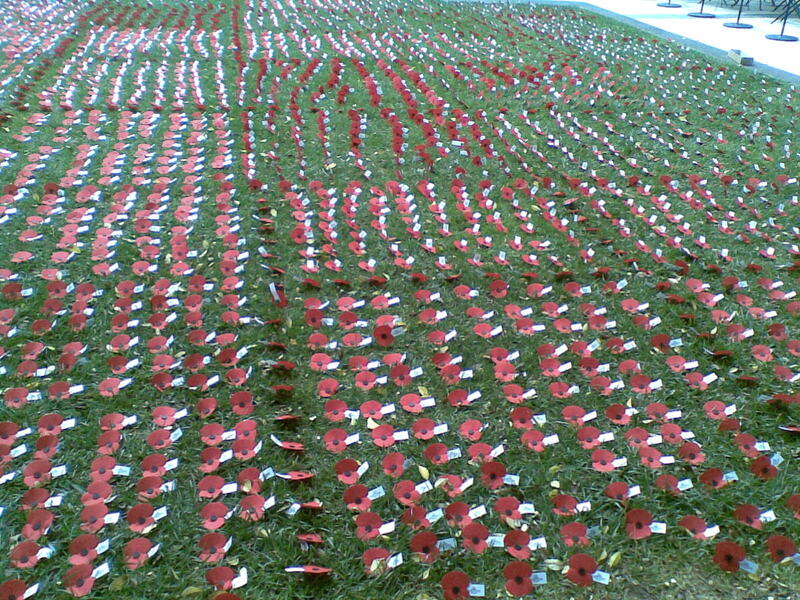 Dad said it was the best day of his war. He captured about forty Germans who had been asleep in a church and no-one died – on either side. And the man who saved my father’s life while giving his own. They were in a farmhouse that was being shelled. Dad said the wall was blown in next to him and Lt Keith Cave blocked the hole with his own body to prevent fragments from subsequent shells from entering the room. Dad said he felt the shell fragments what killed Lt Cave hit him. My father is still alive at 88 years of age and has five children, 13 grandchildren and god knows how many Great- and Great-Great grandchildren. 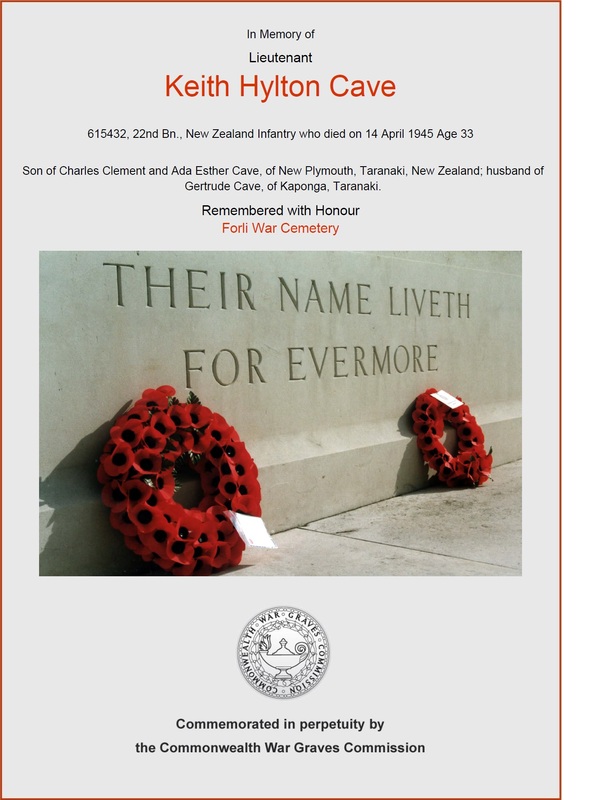 Lt Keith Cave is buried in Forli War Cemetery in Italy.